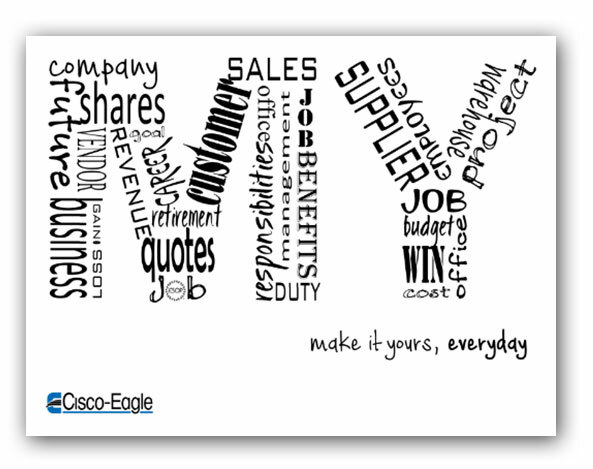 Cisco-Eagle runs an annual contest to design an employee ownership poster. Amanda Miller, systems design engineer with Cisco Eagle’s Systems & Design group in Tulsa, Oklahoma, created this year’s winning image. Amanda says her submission was inspired by Mike Rowe’s Facebook post Take Ownership of Even the Dirty Jobs from July 10, 2015. Observing teamwork between employees and teams, inspires Amanda. Miller’s poster will be submitted to represent Cisco-Eagle in the ESOP Associations’ annual contest.